Corona 3+3 Drawer wide chest finished in antique wax, made from Brazilian pine from managed forests. 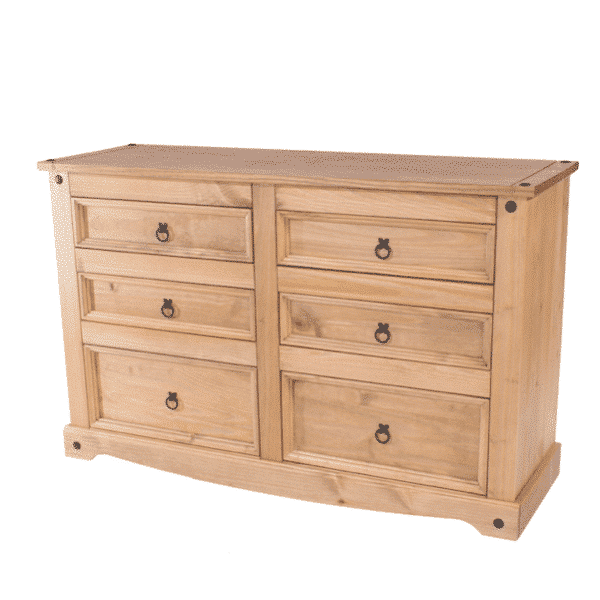 All the drawer boxes on the Corona 3+3 drawer wide chest have dovetail joints for additional strength. The Corona 3+3 drawer wide chest is delivered for home assembly with easy to follow self assembly instructions.